How are our Crystal Awards made? The crystal used in our awards and trophies is 100% lead free. The absence of lead makes the crystal extremely hard. Because of its toughness, it allows us to polish it to flawlessly smooth surfaces as well as cutting and bevelling it into brilliant edges. The crystal is produced in sheets of molten material up to 3 inches thick and before it hardens, it is subjected to extreme pressure and extremely high temperature of 1600 degrees to remove any air bubbles, inclusions or flaws. Crystal without lead is not any less valuable than full lead crystal particularly when it is thick, heavy and finely designed. Our crystal awards manifest the ultimate recognition of excellence and appreciation. Crystal, with its exceptionally high perceived value, has been sought after and treasured for generations, and remains a status symbol even today. The Asia Pacific Best Of The Breeds REITs 2017 Awards trophy is made of the highest quality crystals, handcrafted by skilled craftsmen each with a minimum of 20 years of experience. The customised design made exclusively for The Asia Pacific Best Of The Breeds REITs 2017 Awards by Singapore’s top Crystal Specialist; Garden Home Crystal Palace, features the 3D image of The Pinnacle Group International’s Eagle emblem hovering above the slick real estate architectural emblem. These rare images are created using the latest 3D lasering techniques on the purest and highest quality crystals in Asia. This master crafted award trophy seeks to stand out among the rest to be positioned as one of the world’s most exquisite and coveted trophy in the REITs profession. The design of a soaring Eagle above the real estate emblem symbolises the character and values of vision, strength and integrity – Qualities that embodies the winners of The Asia Pacific Best Of The Breeds REITs 2017 Awards. 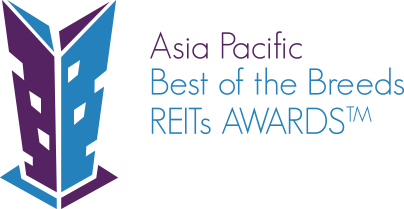 The Asia Pacific Best of the Breeds REITs Awards™ 2017 is a coveted award held in conjunction with the 4th REITs Asia Pacific 2017 Conference to recognize companies and managers with the highest standards and performance in the Asia Pacific REITs sector. The judging panel consists of senior professionals in the financial and real estate sector with balanced representation from ratings agencies, research houses and advisory firms across different countries. The selection methodology will be based on a combined scoring metric that takes into account ratings strength and stability, financial performance and other relevant criteria. This selection methodology is proprietary to this award and upholds very stringent standards. Shortlisted winners will be notified and invited to the awards ceremony. The Best of the Breeds REIT consists of 6 sub-categories namely, retail, office, industrial, hospitality, Healthcare, Islamic and alternative asset REIT. Each REIT submission will be graded on the following attributes: 1) Financial performance 2) Market performance 3) Corporate Governance 4) Quality of underlying assets 5) Quality of REIT manager 6) Adequacy of risk management policies & methodology 6) Sustainability of performance over the long term. The Award Ceremony will take place during the Conference on 4 August 2017. Hundreds of senior executives and professionals from the REITs and real estate sector and members of the media will be present.